Choosing accommodation in London can be a very overwhelming task. It is even harder for first-time visitors who may not be as familiar with the different types of accommodation London has to offer. 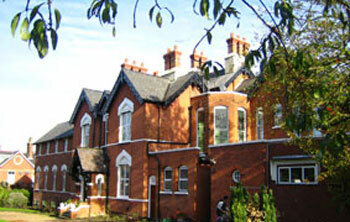 There are hotels, hostels, serviced apartments and even rentable cottages. With this many types to choose from you are almost guaranteed to find something that will fit your needs. Most travelers will be familiar and comfortable with a hotel style accommodation but there are pros and cons that you need to consider before booking. There are a number of hotels in London that range from budget friendly to over-the-top expensive with differing types of amenities. A lot of these hotels will have conveniences such as room and concierge service but most do not have full-sized kitchens or separate living and dining areas. Not being able to cook your own food for many weeks might leave your wallet empty from eating at restaurants far too often. Because of this, hotels will be primarily used for short-term accommodation lasting no more than a few weeks. If you are willing to sacrifice privacy for lower cost, you may want to try finding a hostel in the area you are visiting. A hostel is a dormitory style accommodation where you rent a single bed among a room full of other beds. Your bathroom is shared between all of the other visitors and there are very few or no amenities, but the cost will be significantly less than a regular hotel. Hotels and hostels are ideal for short stays but may not have enough comfort to accommodate a longer stay. 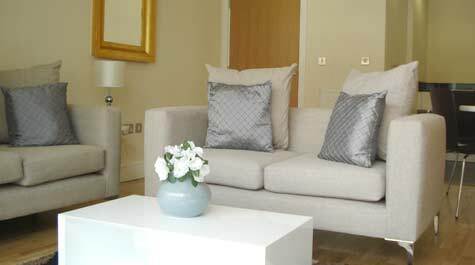 If you are looking for a home away from home while visiting London, serviced apartments are for you. Instead of crowded beds and a couch stuck in a corner, a serviced apartment offers multiple living spaces and a full sized kitchen. They can be rented for both short and long term stays and include daily or weekly cleaning services. There are hundreds of serviced apartments in London to choose from so that you can find one that fits both your style and your budget. This accommodation is popular with business travelers as well as students looking for comfortable long-term housing. For even longer stays, self-catering cottages are always an option. Most cottages are full sized homes with bedrooms, living spaces, bathrooms and a kitchen. In a self-catered cottage you will have all of the conveniences of home but you will also have the downsides as well. Unlike serviced apartments, most cottages will not have daily or weekly cleaning services and do not employ staff members. Should any issues arise, the cottage owner will have to be contacted to deal with the problems rather than trained staff members. London offers an interesting and unique array of accommodations for visitors. Before deciding which accommodation is right for you, make sure you have considered all of the positives and negatives of each type. For assistance with serviced apartments, contact Deep Blue Apartments for recommendations and other info on accommodations in the London area.